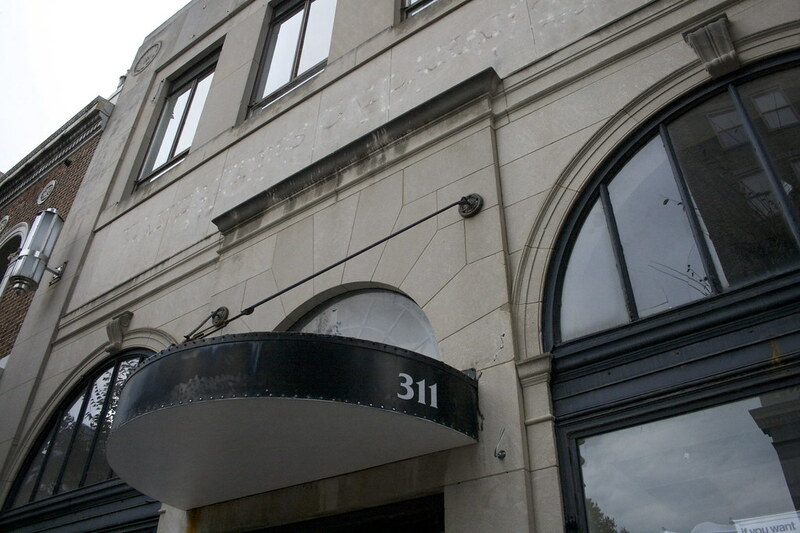 The Chatham building on 4th street is being converted into a 2 screen movie theater. 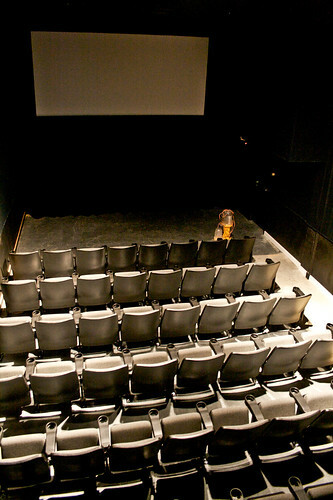 Aperture Cinema will feature independent films in two 80-seat theaters. RiverRun will also operate its new year round headquarters in 8,000 sf of office space. 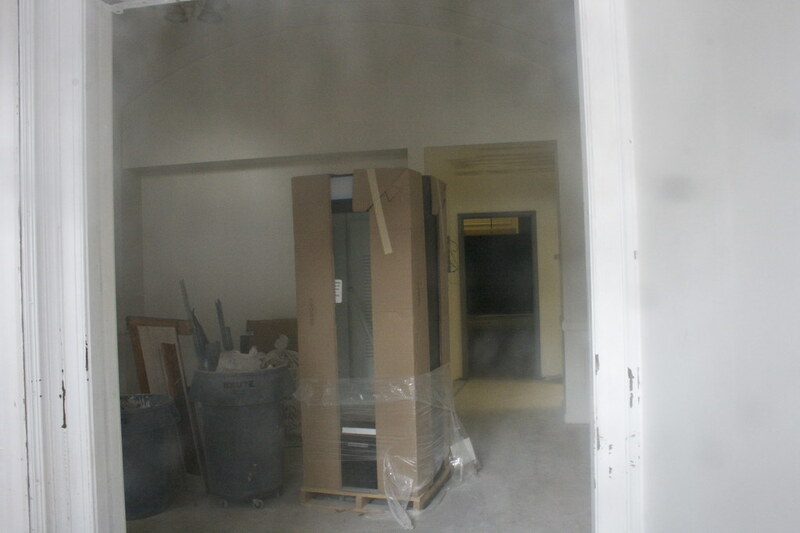 Demolition is already underway with an opening date set for some time in January. This is great news for all the surrounding bars and restaurants on West Fourth...especially Brew Nerds which occupies the retail space in Chatham. Hey this is great news for downtown. I love it! I am sure this will be a big hit. I'm excited about this, it will indeed be a good fit in downtown!!! As I wrote on Aperture's Facebook fan page, I can't wait to see the level this catapults Winston to when this awesome venue opens. Despite some difference in opinion, the Callahan family continues to do amazing things for downtown! Go Lawren! Follow the progress on Lawren Desai's blog. Update photos and info there. I recently talked to Lawren about Apeture and she offered to take me on as an intern. I am extremely excited for the opening of this! This venue will do wonders for downtown! Looks promising, thanks for posting that! Thanks for sharing. Was that a window or wall opening that they were covering up on the right? She has lined up the first few films for when A/perture opens, and you will be very impressed! All films were shown at either the Cannes, Toronto, or Sundance International Film Festivals. Also, the infamous window that has garnered some criticism from people will be used to show a large, illuminated logo behind glass. Thanks for the updates Jersey and Twin. I'm looking forward to this project. A great addition to downtown Winston! The first two films to debut at a/perture will be "New York, I Love You" and "A Town Called Panic". Expect a January opening date! Man, that was quick! Thanks for the info. The staff and I tried out the theaters last night, and you will be greatly impressed! Besides not being on an incline, there isn't really any noticeable difference from one of the commercial multiplexes you would normally see a movie in. A great addition to downtown Winston-Salem! In a plug for the movie, here is a link to it's website. Crowds were good there last weekend, it's great to see the support and hope it continues! 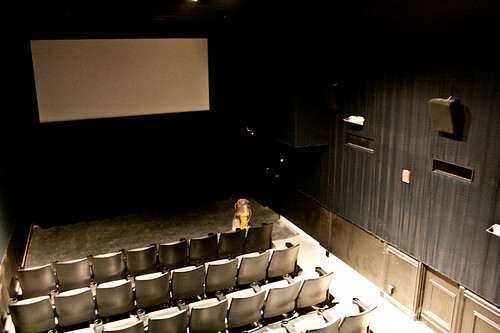 a/perture Cinema recently held a crowdfunding campaign on Indiegogo to rais $50,000 to create a third screening room with 52 seats, a larger lobby and gathering space with a private party rental room. The campaign was to pay for these expenses while the business also worked to convert the projection in their 2 current screens from 35mm projects to state-of-the-art digital cinema projection. Over the course of their campaign, a/perture surpassed their goal and raised $52,847. 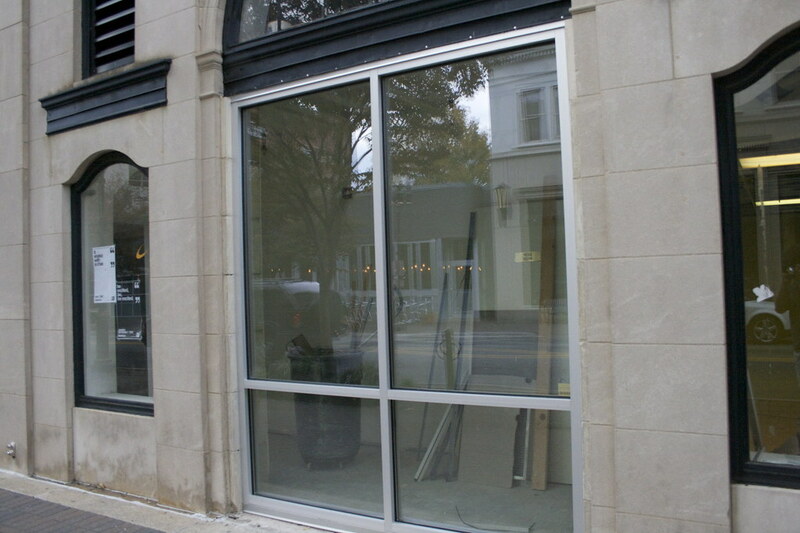 Congrats to a/perture for growing and adding to downtown Winston-Salem. Aperture Cinema in downtown Winston-Salem celebrates its fourth anniversary. A third screen opened downstairs in the theater at the endof August, and a fourth smaller screen is in the works, with a possible February opening date. 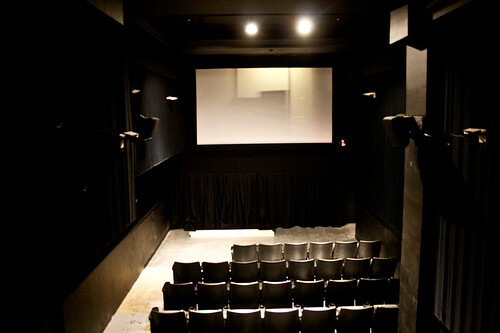 There’s also a rental room for parties, complete with a red carpet; a budding “Night Shift” film series of late-evening movie screenings of cult classics; and the theater’s popular screenings of certain TV shows. Last weekend they started showing PBS’s Downton Abbey” and in February they will pick back up with “The Walking Dead.” The TV show viewings are free of charge, however the purchase of concessions is encouraged. This is one of the many ways social capital is being nurtured and developed in the Twin City. The two main screens on the first floor seat about 80 people each. 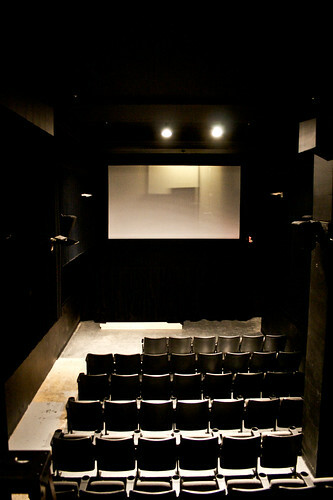 The third screen in the basement seats 45. The fourth screen, when ready, will seat 25 in a multi-purpose room. Aperture opened onJan. 8, 2010 as the first new movie theater downtown in many years. Movie theaters used to be commonplace — in 1952. There were at least five, but over time they closed or changed purpose, such as the Stevens Center, which is now used predominantly as a live-arts venue. a/perture cinema has announced a new film series, Screen Club, which will feature selected favorite films from 14 local artists who have designed their own versions of movie one-sheets (promotional posters) of their favorite films and will be individually hosting screenings as well. This film series coincides with a/perture cinema’s fifth year in business, and a/perture is partnering with Delurk Gallery, Ember Audio & Video, and Airtype Studios in this series. Screenings will occur monthly on Wednesdays at 7:30 p. Featured films include those from a wide variety of genres, time periods, and countries of origin, ranging from Pan’s Labyrinth to Pretty in Pink. At each screening, the featured local artist will present a limited edition of 50 signed 18” x 24” poster prints for purchase inspired by the film they selected to be screened. This series will kick off on February 26 with Groundhog Day, and will conclude on December 3 with The Shawshank Redemption. “Screen Club is one of the many ways that a/perture cinema wants to reach out and incorporate film into the fabric of our community, something we’ve been passionate about since our business opened four years ago. We’ve been very fortunate that so many talented artists have been willing to submit their film-related artwork for this series, and can’t wait to share both their favorite films and their amazing creativity with Winston-Salem,” commented a/perture curator Lawren Desai.